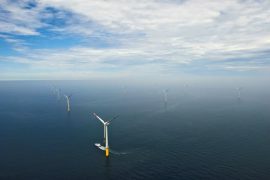 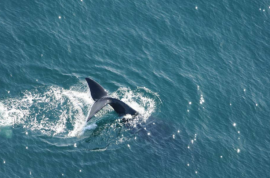 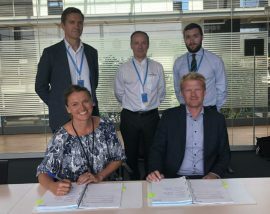 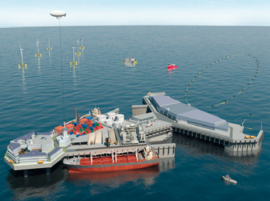 Ørsted has signed a six-year framework agreement with Trelleborg for the supply of the NjordGuard cable protection system for use on upcoming wind farm projects. 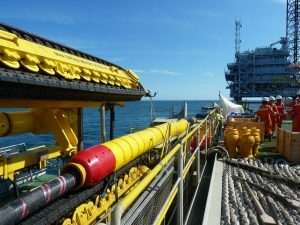 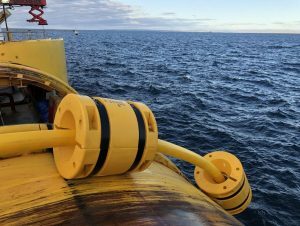 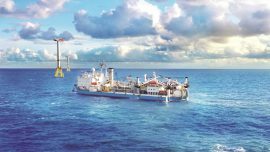 Prysmian Group is launching Power Link Cable Solutions, a new system that is said to provide a comprehensive management of subsea cable damages and minimize downtime and costs in the event of a fault. 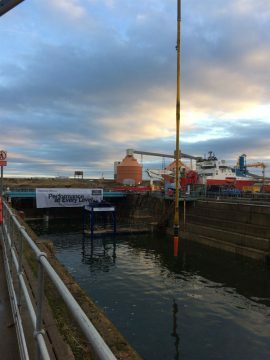 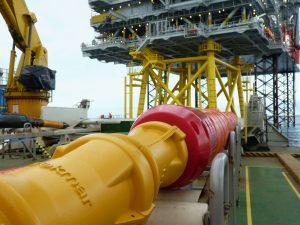 Boskalis’ fallpipe vessel (FPV) Rockpiper is carrying out scour protection works at the Aberdeen Bay Offshore Wind Farm. 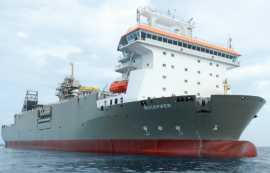 According to a notice to mariners, Rockpiper will be working at the project site for three weeks and was scheduled to start on 28 October. 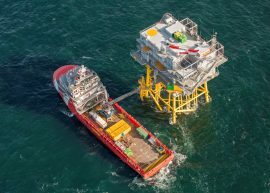 Rhenus Offshore Logistics B.V. took over the overall logistics concept for personnel and materials for a corrosion protection campaign at two platforms – Buitengaats and ZeeEnergie – at the Gemini offshore wind farm, where the company worked together with Vroon Offshore Services. 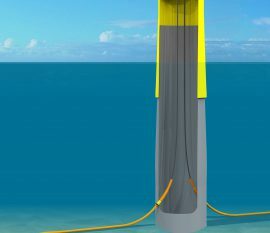 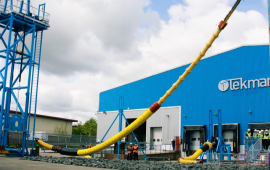 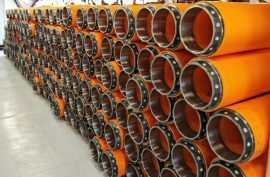 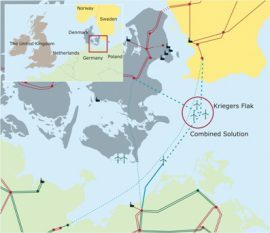 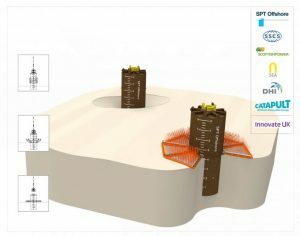 Van Oord has awarded Seaproof Solutions with a contract for the supply of cable protection systems for the Norther offshore wind farm in Belgium. 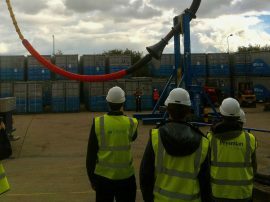 Trelleborg’s offshore operation will launch its recently qualified cable protection system, NjordGuard, at the Offshore Wind Energy 2017 exhibition in London. 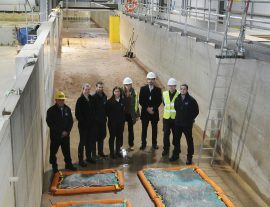 HR Wallingford is currently conducting physical modelling in its Fast Flow Facility to test the scour development and the performance of a frond mat scour protection system to protect the jacket piles for the East Anglia ONE offshore wind farm.